A lot of people will have considered delivering takeaways in the evenings or at weekends for a bit of extra cash; especially in the current financial climate where a few hundred extra pounds each month would go a long way. Whilst this might sound like a great idea, it’s important to make sure that you have the right type of fast food delivery driver insurance. You’ve already got a car, your car insurance leaves your account every month and you figure that it won’t use that much extra fuel to deliver a few takeaways on a Friday night. So, why not go for it and make a bit of money in your spare time to help cover the ever-increasing cost of living? Be aware though that it might not be that simple; a high percentage of takeaway drivers are actually unknowingly breaking the law by assuming that their personal car insurance policy is enough to cover them whilst working as a delivery driver. The problem is that most drivers’ car insurance policies don’t allow the vehicle to be driven for business use. Personal car insurance policies usually cover social, domestic and commuting only and strictly prohibit use for “hire and reward”. Hire and reward simply means that you are being hired to deliver passengers or goods in exchange for a fee or “reward”. Whilst most people would assume that this refers to taxi drivers or couriers, delivering fast food does fall under this category so it’s important to make sure you have the right type of hire and reward insurance for delivering takeaways. The first thing that you should do is find out if the takeaway has its own commercial fast food delivery driver insurance policy that you would be covered by. After all, by law, it is the takeaway owner’s responsibility to ensure that all of their drivers have sufficient insurance for delivering takeaways. If the takeaway does not provide you with cover under their own commercial policy then you will need to check with your own insurance company to check if your policy allows use for deliveries. 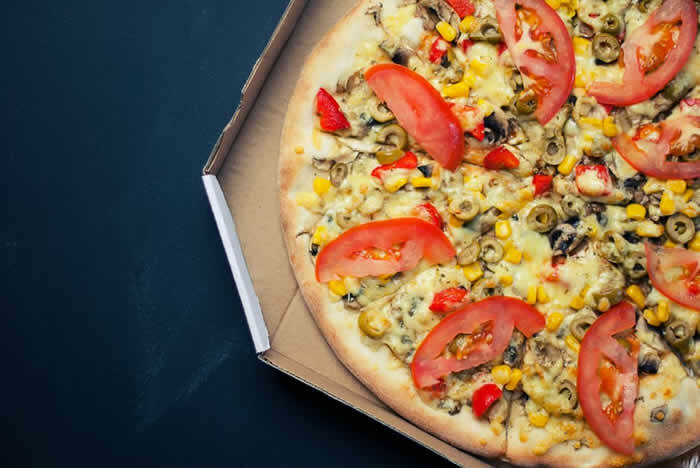 If your current car insurance policy excludes the use of your vehicle for delivering hot food then you may have to look at a specialist takeaway delivery driver insurance policy. Don’t be put off by the fact that most mainstream insurance companies don’t cover delivery drivers. This doesn’t mean that insurance for delivering takeaways has to cost a fortune but you may be better approaching an experienced broker or even better using Quote Chief to compare delivery driver insurance. There are some takeaway drivers that are aware that their personal motor insurance doesn’t cover them for hire and reward but don’t think that there are any risks involved. If you do decide to go ahead and start delivering without takeaway driver insurance, you’re not only putting your job on the line but you could also have your vehicle confiscated and impounded by the police for driving without valid cover. The owner of the takeaway that you work for could also be liable to pay out if you’re involved in an accident and there’s any cost for damage caused or personal injury compensation required. Through Quote Chief you can quickly and easily get quotes for fast food delivery driver insurance from an entire network of specialised commercial insurance brokers. This means that you can compare the cost of cover from some of the country’s leading providers and decide which policy is the best one for you. Head over to our quote form and your quotes will be with you within a matter of minutes.